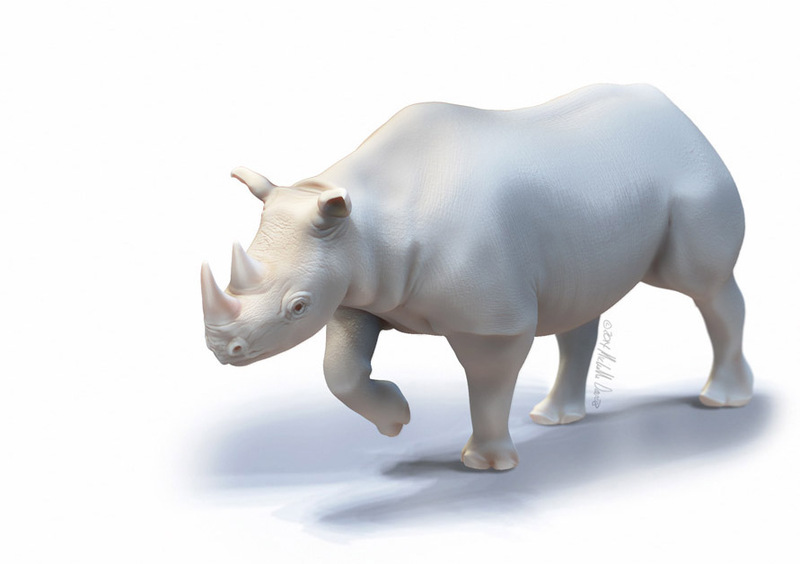 This sculpt shows a black rhino; interestingly, black rhinos are not black and white rhinos are not white. They are both a range of greys. 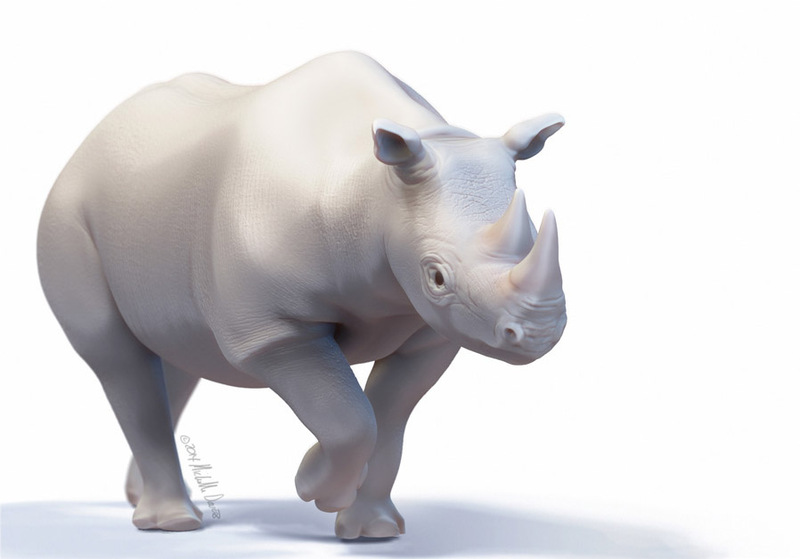 White rhinos are so named from the Afrikaans word ‘wyd’ meaning wide, a reference to their wide mouths and upper lip. 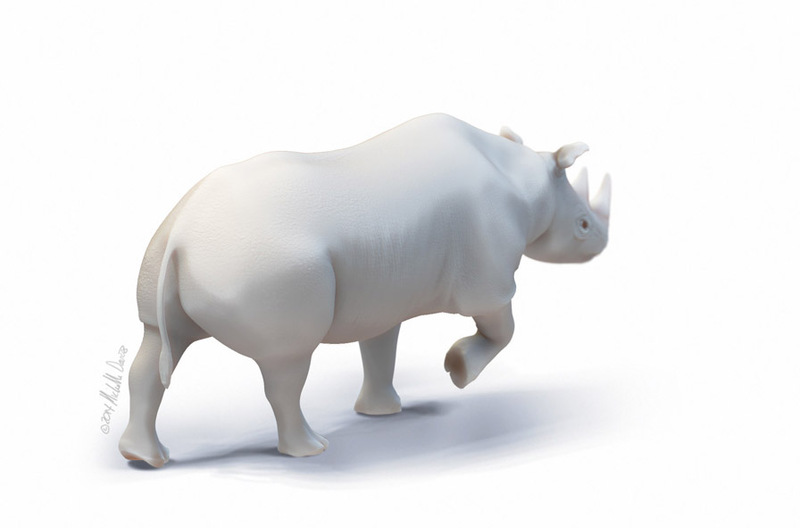 By contrast, black rhinos have a narrow pointed prehensile lip that helps them grab objects. Black rhinos may be so named because of the dark mud they often wallow in.